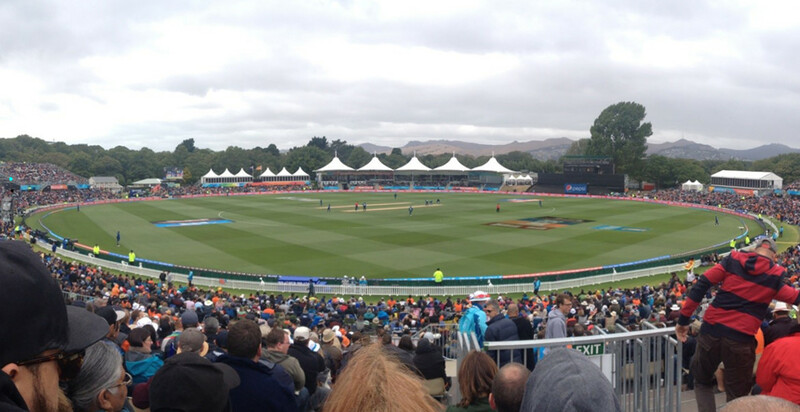 The Hagley Oval and Pavilion - Acoustic Engineering Services provides measurement, design advice, and expert evidence in the field of acoustics and noise control. 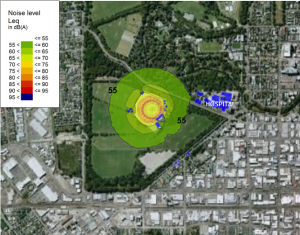 The Resource Consent process for The Hagley Oval was referred directly to the Environment Court. AES provided expert acoustic advice to help Canterbury Cricket, and the Court, understand the likely impact of noise from events held at the venue. 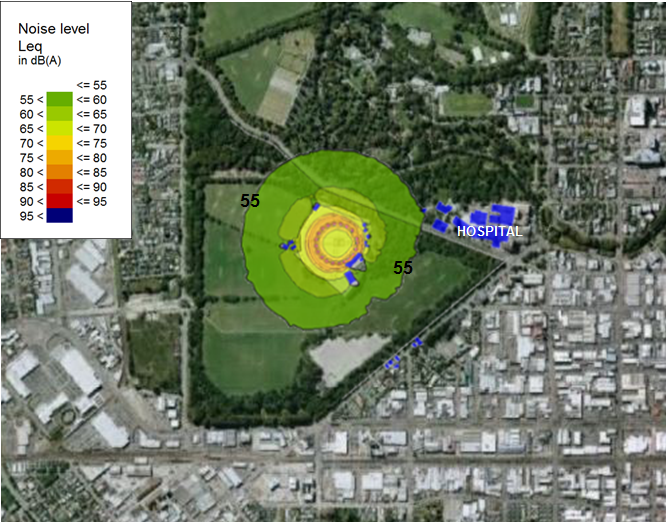 As illustrated in the image below, sound was expected to propagate over large areas of the surrounding Hagley Park, and key concerns were any potential impact on adjoining residential neighbourhoods, and Christchurch Hospital. AES then played a key role in formulating noise management strategies for the venue, to ensure that any noise effects were adequately controlled. The project was subject to significant time pressures (as the venue was to host the opening game of the 2014 Cricket World Cup) and garnered a high level of public input. Jeremy Trevathan appeared at the Hearing to present expert evidence, and the Court ultimately concluded that they were “satisfied that the cumulative effects of noise from Hagley Oval cricket fixtures and from traffic exiting the Polo Grounds car park will be no more than minor given the constraints on the production and level of noise and the proposed conditions of consent”. Subsequently, AES were also engaged to review the design of the Pavilion building to ensure that noise breaking out during functions would be adequately controlled. This was a unique challenge in itself, due to the stretched membrane roof and lack of ceiling in the main function area – a combination which provides low levels of sound insulation. The final design solution involved a two layer stretched membrane system, which retained the desired aesthetic, whilst providing improved thermal and acoustic performance.